Right now, we're coming to the end of Awards Season, where we've seen celebrities from across the globe sashaying down the red carpet dressed in their finery. Checking out everyones outfits at the Oscars and the Brits is one of my favourite things to do! To celebrate, Kaleidoscope asked me if I'd like to be a part of their #RedCarpetGlamour campaign, and of course, I was delighted to. Unfortunately as a busy single working mum of two children that never (EVER!) sleep (at least that's what it feels like), I don't get the opportunity to go to the supermarket on my own very often, let alone get glammed up and head into town for a fancy pants part-AY, complete with sparkly frocks and sparkly drinks. But that doesn't stop me from making an effort when I get dressed every morning, so I thought I'd contribute my own take on #RedCarpetGlamour - school run style! I love dresses and I wear them most days. In fact I would say that about 70% of my wardrobe is made up of them. I've never understood people that say they wear jeans and tops 'because they're easy'. 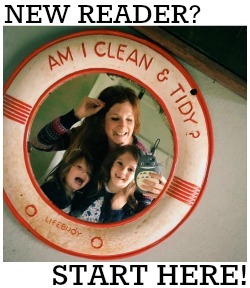 Surely it's easier (and quicker!) to throw a dress on in the morning? And that's exactly why my 'mum uniform' isn't the standard jeans//t-shirt//pumps combo that most favour - I prefer to go frock//cardie//boots. 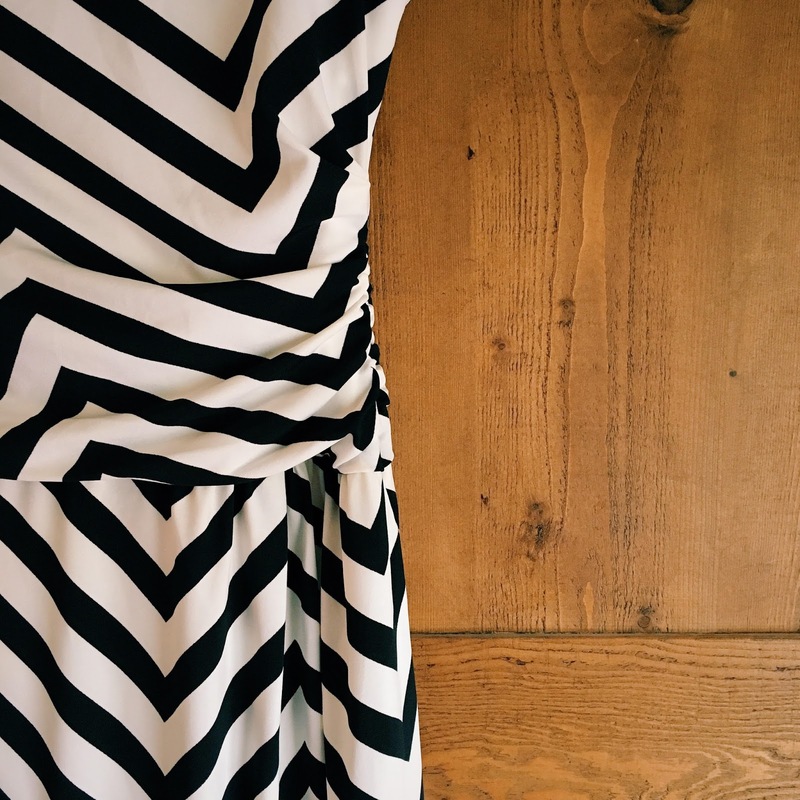 Kaleidoscope offered me a dress of my choice and I chose this chevron print shift dress. I also chose this slightly more casual shirt dress, which is currently my FAVOURITE dress in the WHOLE WORLD (and which will get a write up of it's very own soon), and these amazing gold peep toe shoes too (ditto). 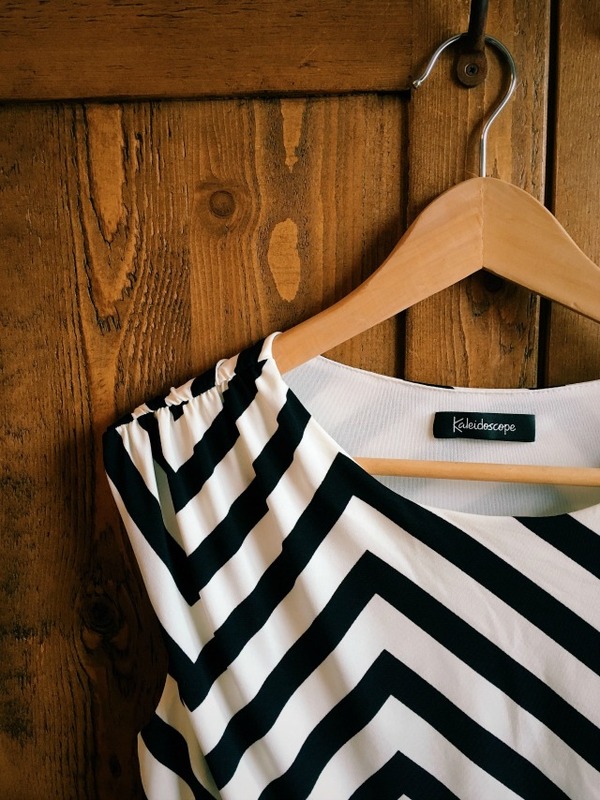 I love monochrome right now, and am also rather partial to a bold print so this pretty much jumped out at me on the website - and didn't disappoint when it arrived in the post a couple of days later! 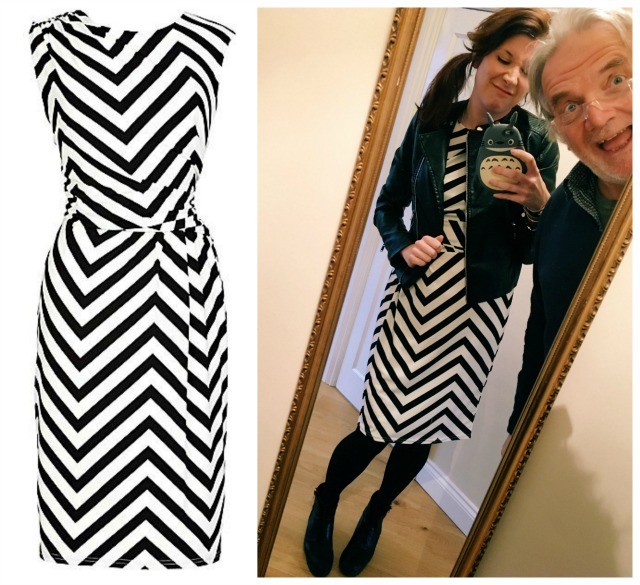 Aside from the print, I love the length of this dress - its a slightly longer-than-usual shift which means that for me, at 5ft 7, it falls just on the knees and looks great with a pair of heeled ankle boots. The cut is also FANTASTIC. The material drapes at the shoulders (instant glamour) and also at the waist, making you look slimmer. I wore my dress on Mother's Day, with a black biker jacket, black tights and black ankle boots and spent the day feeling glamorous, but comfortable, which is a pretty awesome combination I've got to say. It might have been an easy outfit to put together, but taking a photo of it was not so easy (say hello to my photobombing Dad ;)). But just because I don't get the chance to attend any black tie events, it doesn't mean I don't want to. I love the idea of getting super dressed up for a special occasion, and could quite happily day dream about glamorous outfits for days. Which is pretty much what I've been doing ever since Kaleidoscope approached me to work with them on this project. 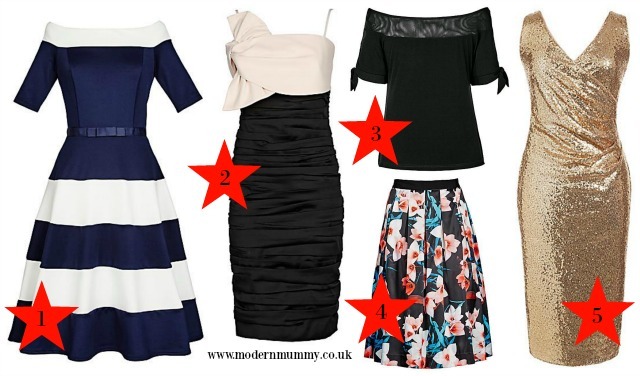 So with posh parties and award ceremonies at the forefront of my mind, here are five more of my favourites from the Kaleidoscope occasionwear range.